If you’ve been wanting to make practical, simple eco-changes to your family home, reusable swim nappies are a great place to start! Here, we share with you our top 3 favourite reasons to make the switch. And heaps of it! If your child swims on a weekly basis, it will cost you around $35 a year for disposable swim nappies. Of course, most children swim more frequently than this during the summer months and at under $20 a pair, the reusable investment pays for itself very quickly. That’s right. The vast majority of disposable swim nappies end up in landfill, and our best guess of how long they take to decompose there is about 500 years. Every time you reach for your washable swim nappy over a disposable, you’re keeping rubbish out of landfill. Go you eco warrior, you! It’s true. When you choose a reusable swim nappy, you’ll always have it on hand! Just wear, wash and wear again! Total awesomeness. 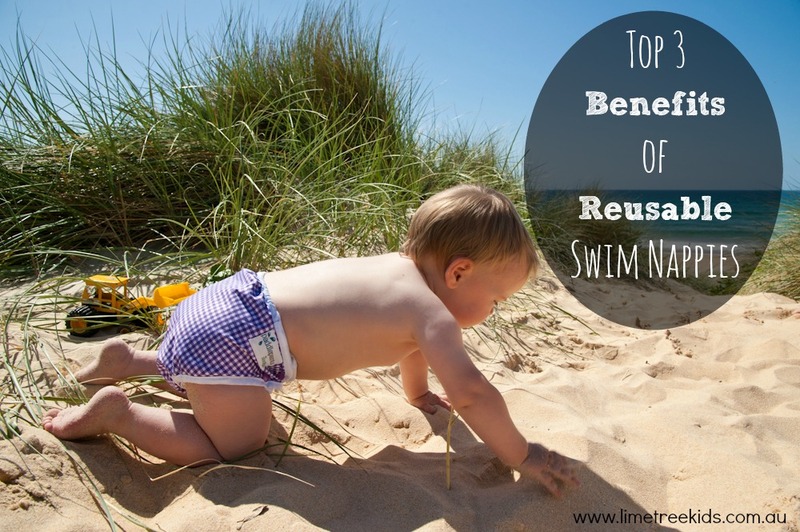 A reusable swim nappy will lower your grocery bill, reduce landfill and simplify your swimming routine. What’s not to love! A good quality reusable swim nappy is the only nappy you need to use for swimming – you don’t need to use it over the top of a disposable nappy. Swim nappies aren’t designed to absorb urine. If they did, they would also absorb pool water and weigh bubby down! Due to the discovery that fibres from disposable swim nappies are capable of clogging pool filtration systems, many aquatic centres across Australia are now requiring that all babies wear reusables for their water lessons. 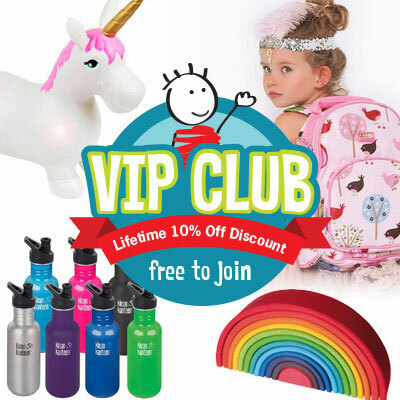 Eva van Strijp is the owner of Oz Baby Trends and supplies a number of our award-winning products, including Paddle Pants reusable swim nappies, Pop-in car seat protectors and Pop-in Playmats. When Eva isn’t playing with her five little ones, she’s running a distribution business and creating 28 day eCourses for eco-warriors.